Welcome to Early Modern Songscapes, an interdisciplinary web project co-developed by the University of Toronto Scarborough Library’s Digital Scholarship Unit and the University of Maryland Institute for Technology in the Humanities. 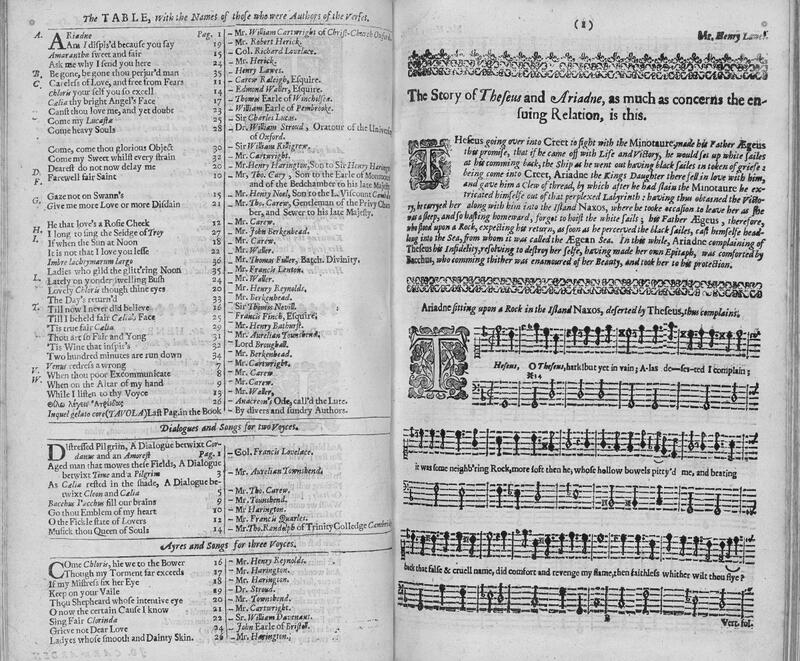 Table of contents of Ayres and Dialogues, For One, Two, and Three Voyces (London, 1653), Folger L638, copy 1, A2v. By permission of the Folger Shakespeare Library. 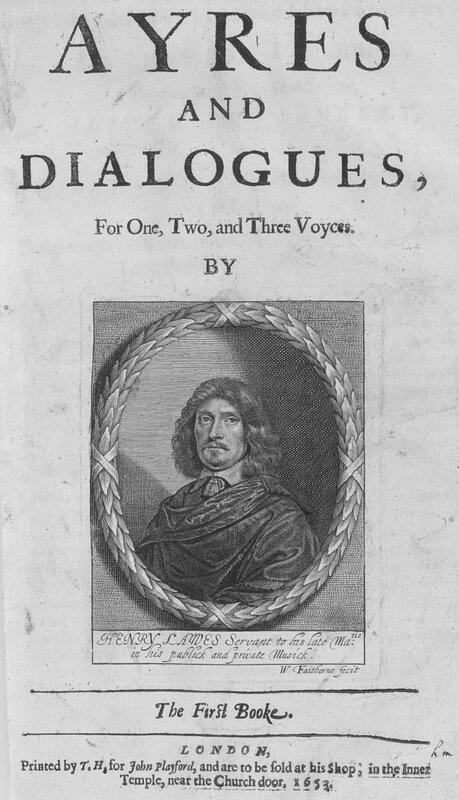 Title page of Ayres and Dialogues, For One, Two, and Three Voyces (London, 1653), Folger L638, copy 1, A1r. By permission of the Folger Shakespeare Library. All content found on this site (unless otherwise noted) is licensed under a Creative Commons Attribution-NonCommercial-ShareAlike 4.0 International License.